NS James have worked hard to achieve the status of ‘Rare Breeds Specialist’. We are the only butcher in the county of Monmouthshire with this recognition and the first to be awarded this standard in Wales. For the consumer that means that when available we can offer such breeds as Welsh Longhorn Beef, Welsh Black,Gloucester Old Spot and traditional Welsh pork. 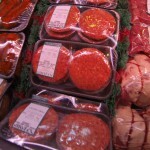 Our Beef, Lamb, Pork and Chicken all come from local farmers and have full traceability. 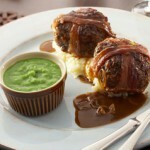 We also sell seasonal game including venison, partridge, pheasant and duck. 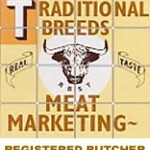 Home cured bacon and cooked meats also available to the highest standard. Locally sourced cheese eggs, fresh fruit & vegetables as well as a wide range of condiments, preserves, chutneys, jams and stuffing are available from our shop. 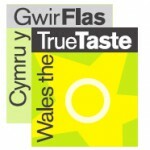 We also make our own faggots, sausages and beef burgers all of which have won recognized awards in both local and national competitions including first prize in the coveted True Taste of Wales awards. NS James faggots were recently served to over 300 Commissioners of the European Parliament at a major banquet hosted by the Welsh Assembly's First Minister. 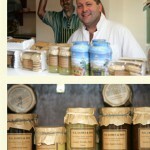 All the team as NS James love to promote local producers and are members of 'Made in Monmouthshire' and adventa. Through these organisations we have made many contacts sourcing products from small local producers who like us have a greater emphasis on taste as the most important factor.